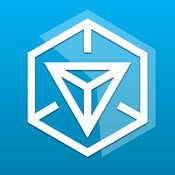 We welcome Ingress to the Apple App Store. Please grab the application and continue reading on for important details about Ingress. Compatibility: Requires iOS 5.0 or later. Compatible with iPhone, iPad, and iPod touch. The app is optimized for iPhone 5. “The world around you is not what it seems. It’s happening all around you. They aren’t coming. 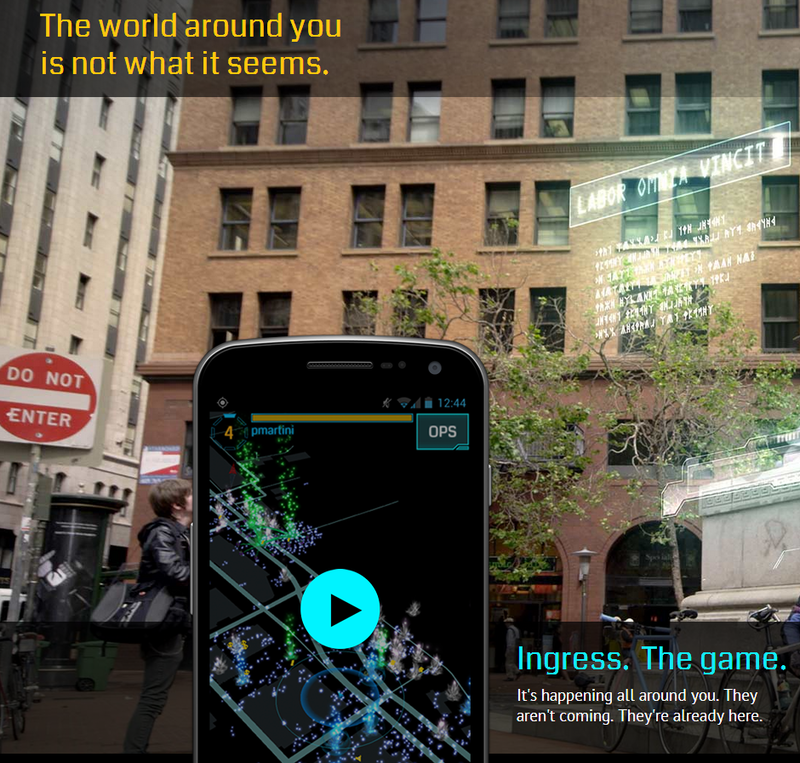 They’re already here.” These are the words that highlight the core of Ingress. A story of intrigue, subterfuge, and incursion. We have an ingression of energy (XM), and extra-dimensional creatures called Shapers, into our world. The questions that are asked: are they friend or foe, are they intent on helping us or taking us over, and will you choose to be Enlightened or Resistance. There is a large story behind this “game”, a story that makes us all feel sort of like a spy in the movies. A story that is built upon, and modified constantly by the agents actively playing and participating in the story elements. It helps make the “game” feel real. I quote “game” because this is something you will see on occasion, that this is not a game. 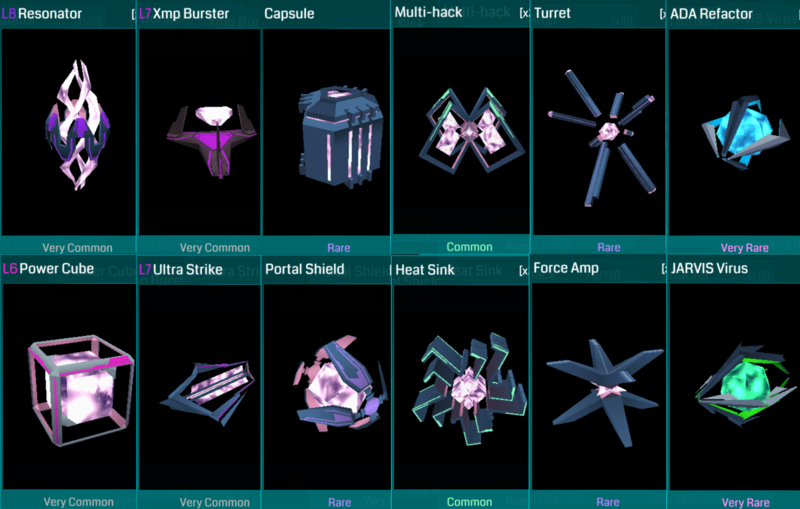 In a post on January 3, 2014, an internal memoradum was released which gives a bit more information on what this means, and may get you started down the so called rabbit hole of Ingress and the Niantic Project. And for those of you that could care less about the story, there are other elements to this which will perhaps draw your interest. Social interaction with local people, as you live and work in the same areas as these other agents, your interaction with them will be bound to happen on occasion. Shy people have found a place to call home, natural born leaders can have a local cell to help direct and engage the enemy. The possibilities are out there, and it isn’t just story based. 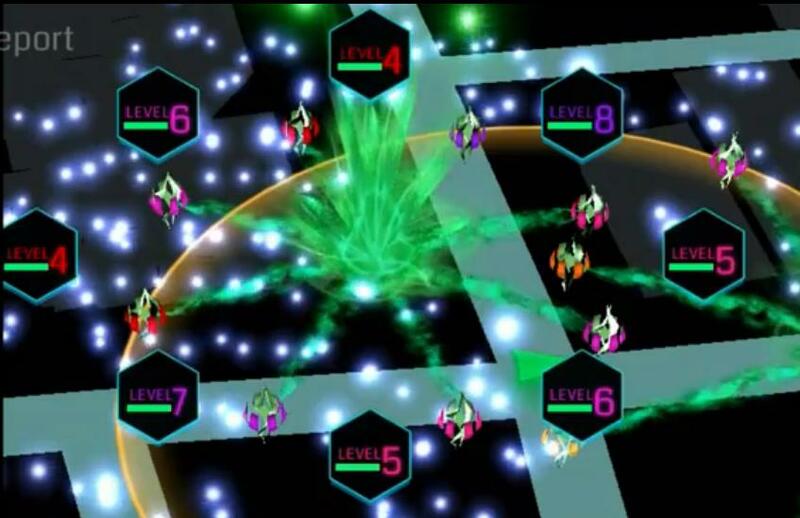 We at Decode Ingress would like to welcome the new players, specifically the release of the iOS version. We’ve put together a few points that will hopefully help you get a jump-start on your agent training and hopefully get you out there and leveling up as soon as possible. 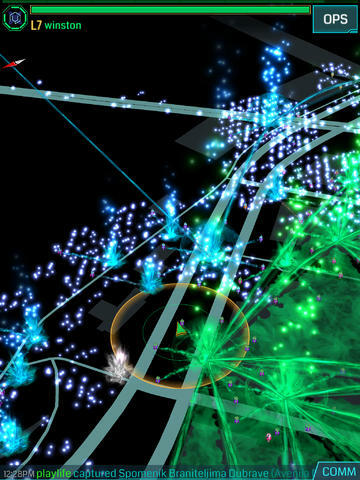 We have put together an Ingress Manual, available at the top of this page (click the apple/ingress image). This manual gives you much of the basic information you will need to join the battle for your faction, including Ingress itself, Factions, Interface, Items (Resonators, XMPs, Mods, etc), Actions, Portals, Links, Control Fields, Leveling, and Exotic Matter(XM). Also, two short videos(Ingress How to Play Part 1 and Part 2) were created to assist in some basic information to get you going, but also contain good information for veteran players as well. When you first claim a portal, one thing that’s likely to get you blasted by your fellow local players, is resonator placement. The key is to stand as far from the portal, but still close enough to deploy, as possible (there are advanced tactics where you would want to put 1 or 2 resonators close to the portal but this is a starter guide). This is indicated by the glowing ring around you on the scanner. Standing right on top of the portal is the worst possible location, and the only fix to that placement once made is to let the portal decay or have it blown up. Claiming a portal will net you an initial 500 AP, plus the 125 AP for each resonator placed. Placing the last resonator will give you an additional 250 AP, netting a total of 1750 for a full deploy of a portal. Add an additional two mods to the portal at 125 a piece, will give you a solid 2000 AP for each portal you fully claim and deploy. As a new Access Level 1 player, you will want to get into the action immediately. Those L1 XMPs will be burning a hole in your scanner. Stay your hand though, or temper it slightly, as you are still fresh and weak. You are certainly capable of taking down a higher level portal, but it will take some work. The key is to stand as close to the resonator locations as possible in order to maximize your blast. The further away you are from the resonators, the less damage it will take. As you take out a resonator, move to the other side of the portal, and continue blasting away. As you progress in levels, this will be less important, but is critical for you as a lower level agent. If it seems that the damage you are doing is being refilled, it probably is due to remote recharging through a portal key. If this is the case, then at the lower levels, you may wish to move on and attempt to take out another portal, as it is unlikely you will continue to do enough damage to be effective against the recharging. Early on, and throughout your leveling experience, fields will be your friend. Collecting portal keys (through hacking the portal in question), and linking/fielding will be important. Remember, you can only link portals that have been fully deployed however, so make sure to fully claim each portal you come across. Link two portals together gives you 313 AP, so that will add up slowly over time. When you link a portal, the portal key is used up. Currently you are only able to obtain one key at a time to a portal without first dropping the key or putting it into a capsule before a subsequent hack. Once you either drop the key or put into a capsule, go back and hack that portal again for another key. If you are able to complete a field by linking 3 portals together, this will net you a cool 1250 AP. As you can see, this will help you level even faster. In order to maximize your fielding AP, consider advanced fielding strategies such as onion fields, further info available at Part 1, Part 2, and Part 3 Ingress Onion Fields articles. As you claim portals, you may start to find your resources dwindling. This is when you’ll want to farm, or hack all available portals for additional items. Each portal you come across, especially at lower levels, will be vital to having enough items to do the task at hand. Nothing can be more frustrating than running out of XMPs just as you are about to take out a portal, and being unable to reclaim it to link/field as you had planned. All portals will give gear that is at/around the level of you, or the level of the portal you are hacking, whichever is lower. As a level 1 player, you can hack a level 8 portal and you will receive level 1-2 items mostly. The reverse is also true, L8 players will get L1/L2 items from a L1 portal. There are some advantages to hacking an opposite faction’s portal (aka “dirty hacking”), namely that you will get 100AP for each hack. These portals will not make it easy for you however, and will attack. So if you are running low on XM, you may need to wait until you have more XM to use. There are slight item variations in what is received. If you want a portal key, it’s best to wait until it’s your own faction because it’s much less likely to give you a key as an opposing faction. 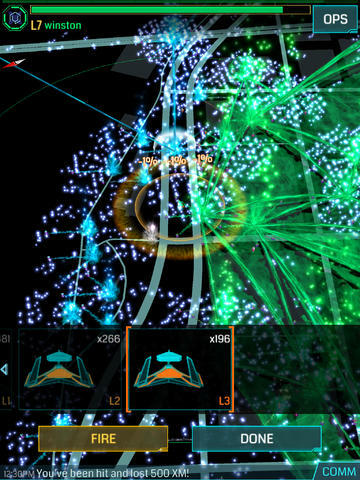 If you want XMPs, hacking opposite faction portals may yield better results (factors like this vary over time within ingress so we can’t be definitive on this). Strategies change depending on your play style, and where you live. In densely populated areas the gameplay is much different than more rural areas. For instance, you may be unlikely to capture/maintain a portal in a dense area, where there may be many unclaimed (neutral) portals in more rural areas. If you are in a dense area, heavily contested, you may wish to contact your local players and ask for assistance. Many Level 8 agents will be more than willing to assist, help destroy the portal and let you claim for the AP. In less dense areas, especially those that have no contest at all, the better strategy may be to claim the portal and let it decay, to reclaim it a week later. This will allow you to gain the AP associated with claiming, linking, and fielding those portals over and over again. There are badges, and while you may or may not care much about them, there’s one in particular that you’ll want to consider starting early on due to it’s long-term requirement to gain. That is the Guardian badge. This badge is achieved by maintaining a single portal for an extended period of time, namely 3, 10, 20, 90 and finally 150 days. If, at any point, this portal is fully decayed or destroyed, that count is reset and you must start again (or the next highest portal you have claimed). Some people differ on how best to “hide” your guardian portal, but those strategies include finding an out of the way location, keeping it low level, not fully deploying resonators in order to prevent linking, and gaining your teammates assistance to not upgrade/link this portal. The earlier in your game you start working on it, the better chance you’ll have of achieving the elusive 150 day mark for the Onyx Guardian badge. Badges only recently have developed a higher purpose. With the introduction of levels 9-16, badges(as well as AP) are required to continue leveling past level 8. At the early levels, your concentration should be on gaining AP, the badges will start to come automatically with that. 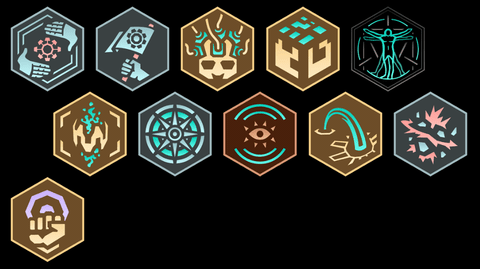 As you get nearer to 8, you may wish to start looking at what it takes to get to level 9 and beyond, and start concentrating on which badges work best for you. As you continue playing, your vision of the world around you will start to change. You will start noticing the artwork, places of worship, signs of significant importance. If these are not currently portals, they could possibly be. 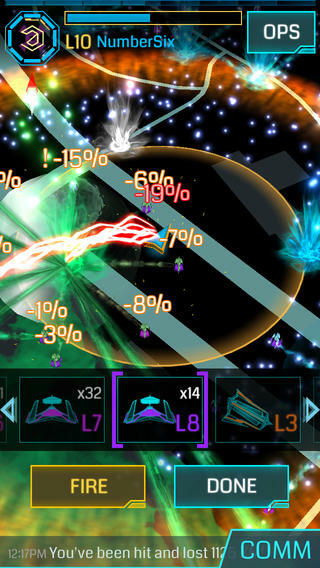 Submitting a new portal may allow you to build up a less dense area into a more habitable area for your Ingress play, and help speed along the leveling process to boot by introducing new portals to claim. The added 1000 AP for an accepted portal submission doesn’t hurt either. 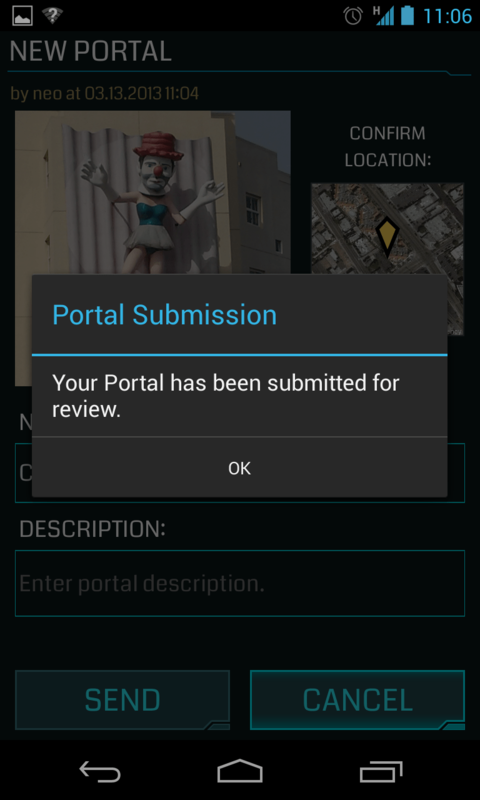 There is a review process for these portals, so don’t expect them to go live immediately. The time varies, but they can be anywhere between a few weeks to a few months. There are multiple suggestions on how best to submit portals (and what qualifies), but that is a discussion for another time. Just be sure to check out the Candidate Portal criteria before submitting, to make sure it is a quality portal and doesn’t clog the submission lists. Below are a few helpful links that should get you acclimated even further. Be sure to read up on the Agent Protocol, and be an upstanding agent in the field. If you are really interested in the story, you will want to take a look at most of them. If you are simply interested in joining the fight, then you may only be interested in the Intel map. In either case, take a look and see how far down the rabbit hole you go. It’s time to move Agent. Welcome aboard and good luck. 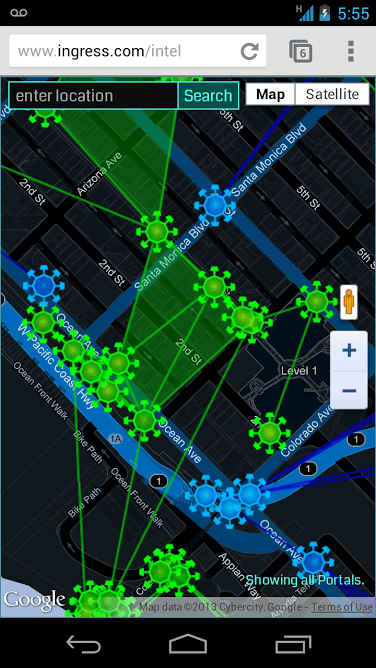 We hope this article has helped you get started and you find your time in Ingress to be as entertaining and life changing as it has been for so many of us.